Dr. Brendan Taylor, Head, Strategic and Defence Studies Centre, Coral Bell School of Asia Pacific Affairs, Australian National University. I’m honored to have contributed a chapter. 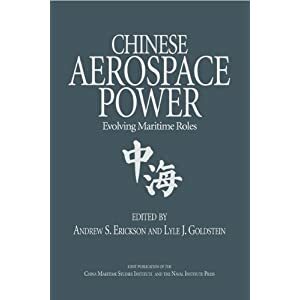 China is changing rapidly from a land-oriented power to a hybrid land–sea power, reflecting its increasingly widespread interests. As its overall national power grows, Beijing faces mounting domestic and international pressure to safeguard these interests. China is incrementally trying to secure outstanding territorial and maritime claims in the Yellow, East and South China seas (the ‘near seas’), while more slowly developing the capacity to protect its interests and increase its influence farther afield (the ‘far seas’). The latest developments include multi-layered military operations in the near seas and enhanced operational capabilities beyond. 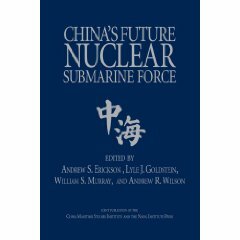 As Beijing’s interests, capabilities and forces continue to radiate outward, consolidate and integrate, China’s naval and other maritime forces’ ability to sustain high-intensity combat under increasingly contested and uncertain conditions, at ever-greater distances from the mainland, is likely to advance. Creating true combat capabilities against other major navies in the far seas is challenging, however, and will require considerable focus, resources, effort and time. China’s reliance on Middle Eastern energy supplies is growing, and overland pipelines will not prevent its dependence on seaborne energy supplies from increasing. This dependence, and its wider requirement for secure maritime trade, means that it needs secure sea lanes in the Indo-Asia-Pacific region. 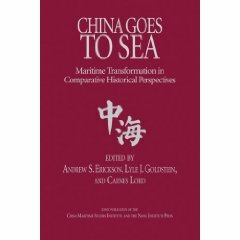 The critical dynamics of China’s maritime-force development and deployment may be described as a ‘high–low’ approach. Beijing seeks to dissuade its opponents by developing a maritime force that is able to respond in a fine-tuned and credible manner in times of crisis or outright conflict. In peacetime, China seeks to ‘salami slice’ disputed South China Sea claims at just below the level that would trigger foreign intervention or pushback. 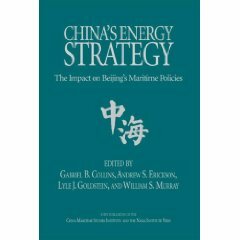 Regardless of China’s strategic trajectory, territorial disputes in its maritime littoral will persist and remain a priority. The deployment of China’s maritime forces there will allow nuanced responses, including ‘greyzone’ operations. Figure 3.2 (downloadable here) charts development of “People’s Liberation Army Navy surface fleet, 1987-2017” in five-year increments. Click here for the complete Table of Contents. A summary sheet for the Strategic Dossier is available here. Each year since 2002, the International Institute for Strategic Studies (IISS) has organised the Shangri-La Dialogue in Singapore. At this intergovernmental regional security summit, defence ministers, military chiefs and other leading members of the national-security establishments of the Asia-Pacific states – and other countries vitally involved in the region – meet to discuss the crucial regional security matters of the day. The Dialogue has become a fixture in the calendars of key defence decision-makers from the 27 countries that regularly send delegations. The prospects for regional security cooperation, including the challenges for the ASEAN-centred architecture. Asia-Pacific Regional Security Assessment 2017 was launched at the IISS Shangri-La Dialogue on Friday 2 June in Singapore. Click here for information on other IISS Strategic Dossiers. America feels like it’s in decline again when Donald Trump announces US will withdraw from historic Paris climate deal.